The Sonoma Collection 72 inch TV stands clean lines, contemporary and minimalist styling, and functionality will enhance any entertainment space in your home. 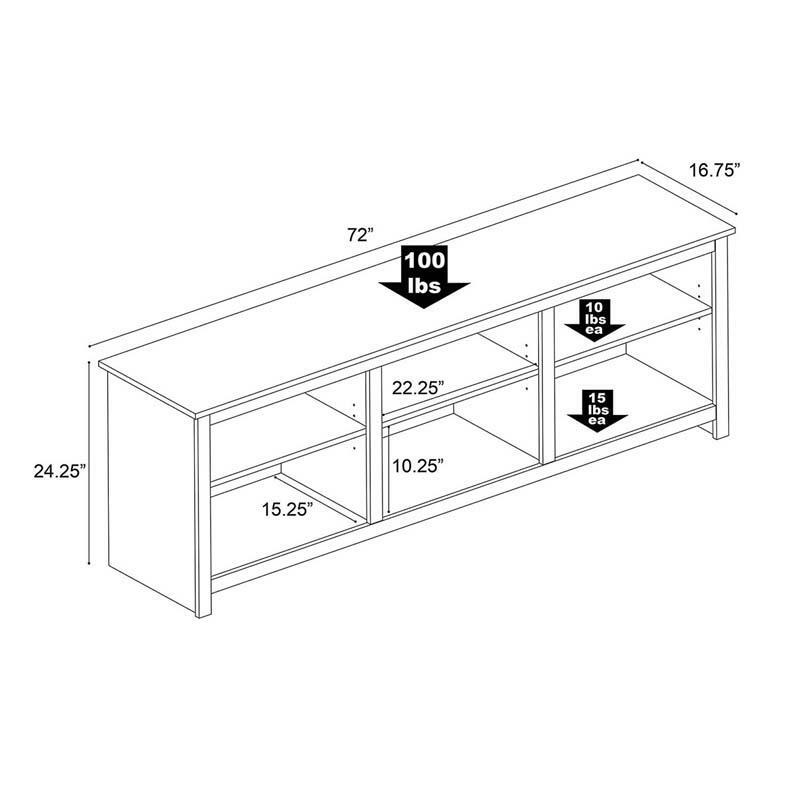 This TV Stand has plenty of space to organize all of your electronics, media, and decorative accents. 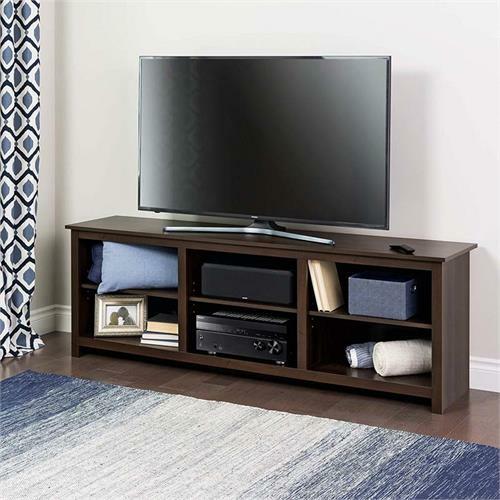 Its stylish design is crafted from high-grade composite wood and durable laminates that accommodate flat-panel TVs up to 80 inches. 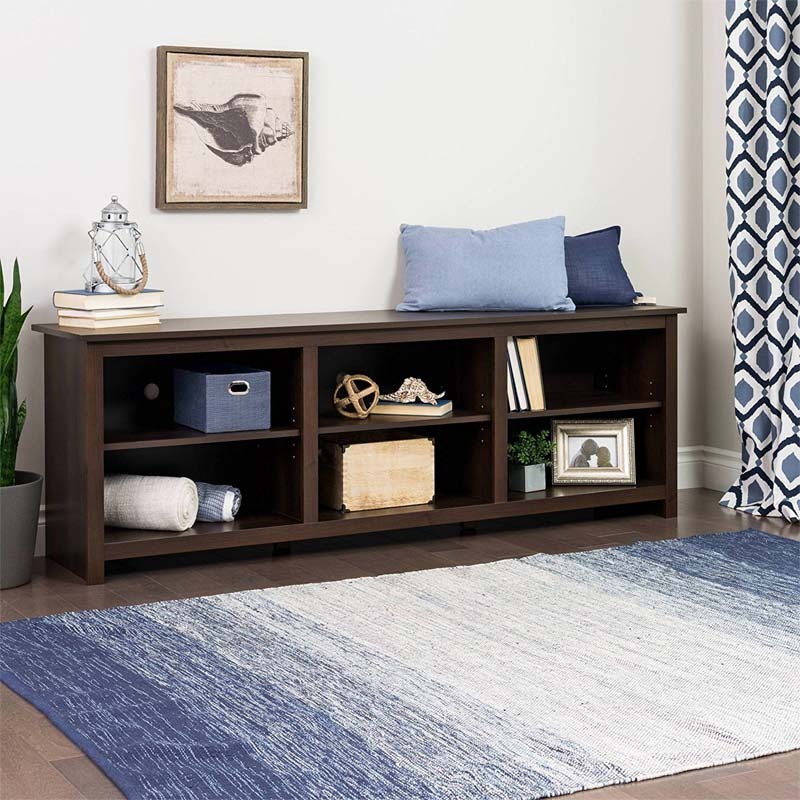 Six generous storage compartments will house standard-sized audio/video components such as a DVR player and gaming box and includes cutouts for cable management and ventilation. Each compartment has an adjustable shelf for larger components or decorative items, enhancing its modern aesthetic while providing tons of room for games, movies, controllers and more. Its the perfect addition to your home! This product is manufactured in Canada, ships Ready to Assemble and has a 5-year manufacturers warranty on parts. *Also available in Black. See related products below.